Thread: ~ENTER HERE~ February 2019 Frenchie of the Month - BE MY FRENCHIE-TINE! Welcome to our Frenchie of the Month Contest! Show us a photo of your Frenchie-tine, for a chance to win a 30 day supply of FREE NuVet Plus Supplement! If this is the first page you are viewing on our forum, then I really must tell you more about our site before you go! We have a lot of fun here with many events, discussions, polls, and articles. We welcome all members or if you have a question about your Frenchie's health or care, we are happy to give whatever advice and experiences we can share. We hope you check out all our different forums and share your bully experiences with us! After February 25th we will no longer accept entries. Winners and Runner Ups will be announced on or shortly after March 1st. Once you enter your photo in this contest you are giving French Bulldog News permission to publish it on their website, social media and newsletter correspondence, and possible future items such as calendars and greeting cards. Your photo must belong to you. Copyright laws forbid you from entering a photograph that was not taken (or taken with your camera to clarify) and the photo must belong by you. Watermarks can only be used if you are the copyright owner / photographer. To enter, please reply to this thread with your photo! 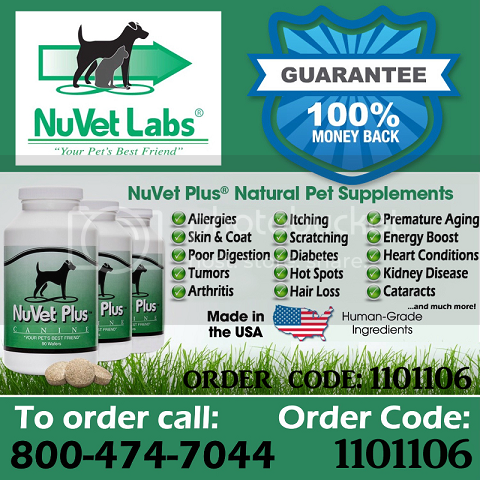 This contest is sponsored by Bullmama with NuVet Labs. Don't forget to get your Valentine, I mean, Frenchie, the gift of good health! Re: ~ENTER HERE~ February 2019 Frenchie of the Month - BE MY FRENCHIE-TINE! Nothing better than cozying up next to my favorite de-stressor! Very behind on voting and winners this month! Voting will begin in the 4 paw members forum shortly, please vote! Thank you for your entries!! !